Women have been bowling professionally since the 1960s, and they make up a sizable population of bowlers today. 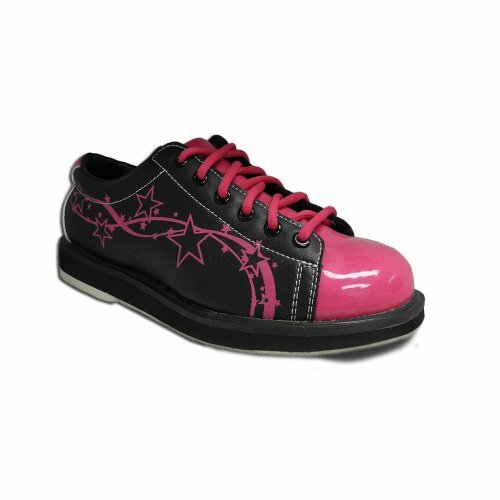 Whether you are a career bowler or you compete as a hobby, you can find appealing and cushioned women’s bowling shoes. Before you invest in a pair, read our reviews of the top-rated bowling shoes for women. Brunswick has built its reputation for constructing quality bowling shoes that do not fit the mold of the classic bowling shoe. The Brunswick Aura Ladies Bowling Shoe is a trendy bowling shoe that will make you the envy of the entire league. 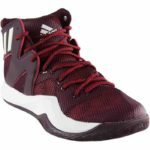 This moderately priced footwear has a breathable athletic mesh upper that stretches with your movement, making you as comfortable as possible while playing the game. The neon accents highlight the solid upper, and they glow in some black lights. The Aura’s comfort is unparalleled in bowling shoes. You slide your feet into a foam interior, and the padded tongue and collar support your foot as you play. A durable and comfortable rubber outsole helps you control your movements. The universal microfiber soles have just the right amount of slide without being too slippery. The upper and the rubber outsole make the shoe extremely lightweight, so you won’t even feel like you are wearing bowling shoes. The best feature of the Brunswick Aura is that there is no break-in period. The shoe bends to your movements, helping you throw a perfect game. Although they do run narrow, casual and professional bowlers alike have complimented the stretch that accommodates wider feet. Depending on how often you bowl, there have been some reports that the upper around the toe area cracks within a year of use. If you only play once a week, the shoes should last you for years. The Brunswick Aura’s comfort and style make it our choice for the best women’s bowling shoe. Beginning in the late nineteenth century, bowling and billiards graduated from a leisure activity of the upper classes to a pastime that anyone could enjoy. As more women started to play, there was a demand for bowling shoes designed to shape a woman’s foot. Brunswick, one of the most trusted sports gear companies, developed the Brunswick Karma Ladies’ Bowling Shoe to be appealing and comfortable. The breathable mesh of the upper molds to your foot, reducing sweating during long hours on your feet. They do lace up, but they also conveniently slip on. With universal slide, the bottoms of both shoes have a microfiber felt sole for ambidextrous players. This allows you to try different slides to improve your game. The Brunswick Karmas run narrow, so they are better for women with smaller feet. The tight toe box is good for those who like a fitted shoe; women who want more wiggle room should find another model. There is a mild breaking-in period for the felt soles, but they should slide perfectly for you within a few games. Overall, the Brunswick Karma is a budget-friendly women’s bowling shoe that appeals to both professionals and amateurs alike. Bowling Superior, Inc. is a company that creates bowling shoes and accessories. Most bowling alleys rent out BSI shoes, but the company offers shoes for purchase in a variety of price points. 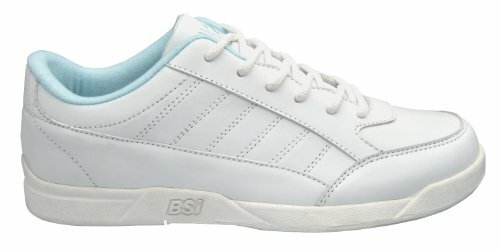 The BSI Women’s #651 Bowling Shoe is comfortable and lightweight, suited for women on weekly leagues. Unlike some models that have hard insoles, the 651 has an EVA foam insole that supports the ball of your foot and the heel. The collar and tongue are also padded, so you won’t even feel like you are wearing bowling shoes. 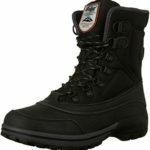 The BSI #651 runs wide, so you may have to order a size down from your regular footwear. The leather upper is durable, but it takes some time to stretch out based on your movement. If you like a slippery shoe on the lanes, this isn’t the shoe for you. The felt soles need some wear before they slide the way that you want. Some bowlers have complained that the universal slides on the bottoms of the shoes start to wither after about a year of consistent use. 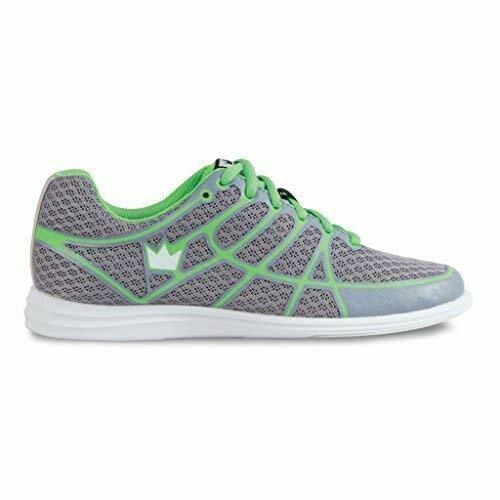 This budget-friendly shoe is best for low to medium arches, but they are a good beginner shoe for women entering the sport. If you hate the look of bowling shoes, you aren’t alone. Most bowlers love a comfortable shoe, but the traditional style of footwear is outdated. Dexter, one of the most respected designers of sports shoes, understands this. 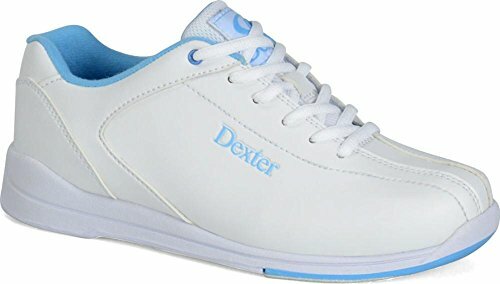 They designed the Dexter Women’s Vicky Bowling Shoe to look and feel like a tennis shoe. The synthetic upper and side mesh panels mimic popular running shoes. 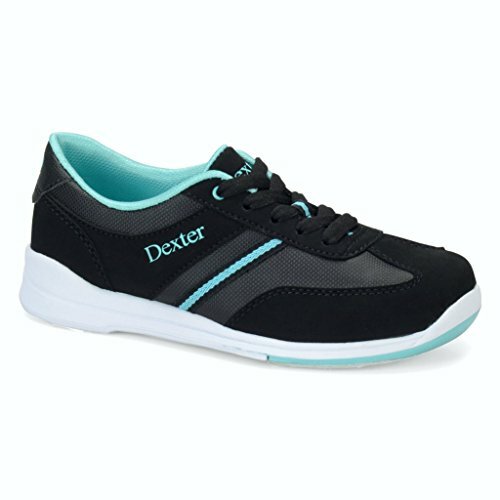 A foam insole, padded tongue and collar, and fabric lining make the Dexter Vicky as comfortable as your walking shoes. The foam insoles provide excellent arch support, a must if you have defined arches. The S8 universal slide soles have Slide-Rite technology, giving you the right amount of stick, and the felt goes all the way to the toes. The Dexter Vickys run true to size, but they are a little wide in the center with a narrow toe box. These would be best for a flat-footed bowler who doesn’t want that much room in the toes. There is also a mild breaking-in period for the upper. The synthetic material can feel stiff at first, but it should stretch to your comfort level within a few games. The Dexter Vicky is a moderately-priced women’s bowling shoe that can help your game to the next level. Similar to the Dexter Vicky, the Pyramid Women’s Rise has the design of a tennis shoe with the characteristics of a great bowling shoe. Pyramid is a premier manufacturer of bowling shoes for any age and gender, their passion for the sport visible through their quality construction. 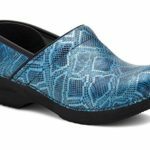 The outsole of this comfortable bowling shoe has universal microfiber soles from the toe to the beginning of the heel. The non-marking rubber in the heel gives you more control over your game, so you won’t slide after you release your ball. One problem that players have noticed in other shoes is that the grommets break easily. The Pyramid Rise has metal-reinforced grommets: the shoelaces slide through more quickly, and they stand up to several games. The Pyramid Rise is true to size, but they do run large with a tight toe box. You should order a size up if you like more room in your shoes. The synthetic upper breaks in quickly. One major complaint about the shoe is that the microfiber soles are too slippery at first. Like the upper, this will disappear after a few games, once you break in the bottoms. As comfortable as the EVA insole can be for bowlers on their feet, they have little arch support. Women who need more cushion in the ball of their foot may need to find another model. Overall, the Pyramid Rise is a budget-friendly, stylish, and comfortable bowling shoe for women who need quality footwear to improve their game. One universal complaint about bowling shoes is that they are large and bulky. They can be too heavy to maneuver the bowling lanes and improve your game. Dexter designed this shoe to be lightweight and comfortable, without sacrificing your score. This inside of this moderately-priced women’s bowling shoe has great cushion and arch support, and they have universal S8 slide soles. Dexter inspired the low-collar design from other fashionable women’s shoes, which can prevent cutting into the ankle. The Dexter Dani has a non-marking rubber sole with a defined heel that helps you pull back from the slide. The best feature of the Dexter Dani is that they are comfortable right out of the box. You can wear them to your next game without having to break them in. Finding the right fit can be difficult. The Dexter Dani runs narrow but large, and it has a tight toe box. This would be the perfect shoe for those with medium width feet who want a snug fit around their toes. The slide soles do need to be broken in, but this is common with all bowling shoes. With so many styles of shoes available, finding your ideal look can be relatively easy. 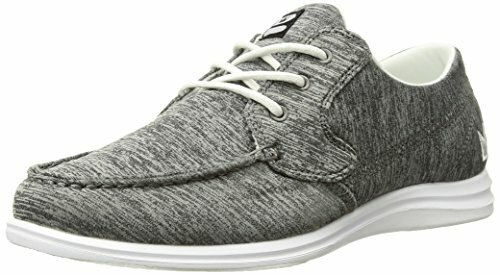 If you wear canvas shoes regularly, the Dexter Comfort Canvas Series Women’s Kerrie Bowling Shoe is a women’s bowling shoe with a cloth upper to look like regular tennis shoes. These moderately-priced bowling shoes are lightweight and comfortable. The padded interior provides maximum cushion around your foot. The company’s Slide-Rite microfiber slide soles stretch from the toe to the middle of the foot, and the non-marking rubber soles extend to the heel. These shoes run narrow, including a tight toe box, so you will have to order a size up from your standard canvas shoe if you have medium to wide feet. There is a mild break-in period with the textile upper, during which the heel can rub against your Achilles heel. You can save your feet from blisters with a thick pair of socks or a band-aid until the shoe sufficiently stretches. 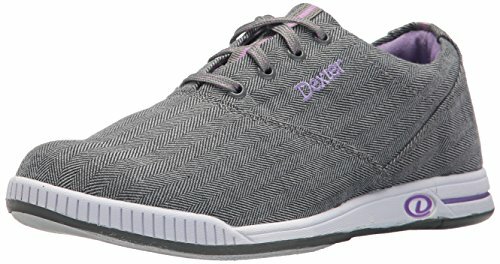 Some bowlers have stated that the Dexter Comfort Canvas Series Women’s Kerrie Bowling Shoe isn’t as cushioned as other Dexter models, but these complaints were relatively minor. Women who have just joined the game should wear a comfortable and durable shoe that will be comfortable as they learn the skills they need to boost their scores. The BSI Women’s 422 is a lightweight, budget-friendly option ideal for beginners. The soft sock liner and comfortable insole feel like wearing an athletic shoe, but they run large enough that you could insert an orthotic insole. The universal sliding soles have a more resistant slide, which is perfect for women who are just learning how to do this. Although the BSI has a comfortable insole that rivals some athletic shoes, there is no arch support. Women with higher arches can insert pads to protect the ball of their feet. The durable leather upper takes some breaking in, but this shouldn’t last more than a few games. Dexter uses attention to detail and quality materials in their products, making them some of the most popular bowling shoes in the world. 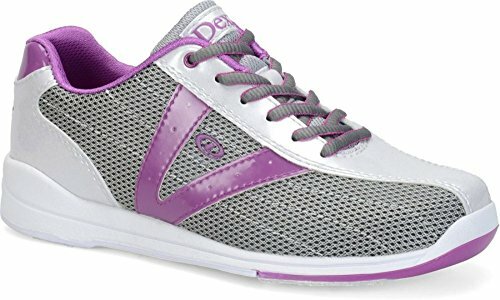 The Dexter Women’s Raquel IV Bowling Shoes are one of the best-selling models for women’s shoes. This budget-friendly design in the traditional style has good arch support, which is rare in bowling shoes. 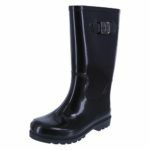 It has a soft interior and a padded tongue and collar, making them extremely comfortable. 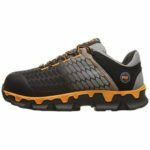 The Raquel IV has a durable synthetic leather upper to protect your foot and a non-marking rubber outsole to maintain stability. Dexter designed the universal S8 microfiber soles to have a good slide. You won’t slide all over the alley trying to bowl your set. The Raquel IV has a mild break-in period until the synthetic leather stretches; this should last only a few games. These shoes run small and narrow, so you should order a size up from your normal shoe size. The Dexter Raquel IV is the perfect shoe for the professional bowler who needs a stable pair of shoes during their game, but amateurs and casual bowlers love their comfort and durability. Both competitive and amateur bowlers consider many factors when choosing their bowling shoes. While most players need comfort, others find that any pair is suitable as long as they have the right slide. In the years since bowling has become a professional sport, manufacturers have changed the style of shoes to accommodate both competitive and amateur players. Our favorite women’s bowling shoe is the Brunswick Aura Ladies Bowling Shoe. These stylish shoes are so lightweight that you will forget they are bowling shoes. Without the bulk of most footwear, they breathe well, and they stretch to fit both narrow and wide feet. As one of the most comfortable bowling shoes on the market, why wouldn’t you want to play in them?